Yu-Gi-Oh! TCG Event Coverage » Get Ready for Day 2 of the 2018 Central America WCQ! Home > 2018 Central America WCQ, Championships	> Get Ready for Day 2 of the 2018 Central America WCQ! 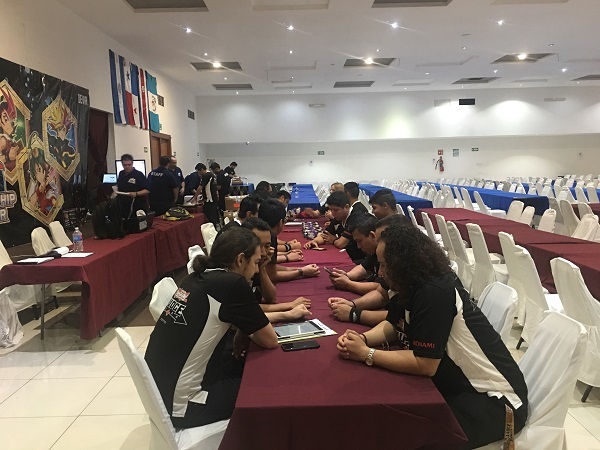 Day 2 of the 2018 Central America World Championship Qualifier and Dragon Duel World Championship Qualifier is about to begin! 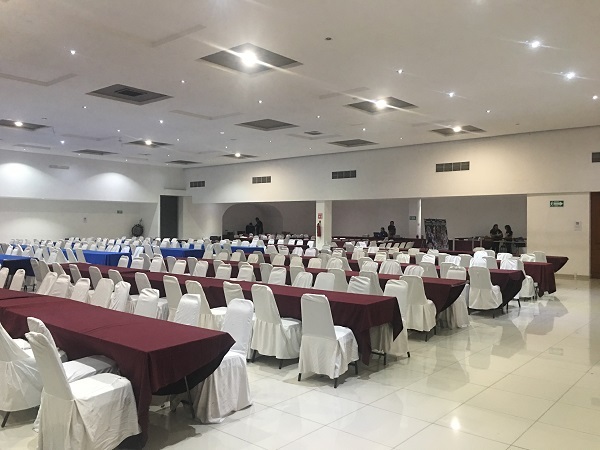 The competitors aren’t here yet, but in less than 15 minutes, the tournament hall will be filled with the remaining Duelists in this weekend’s WCQ! For now, judges and event staff are preparing for the day ahead of them. There are 2 Swiss Rounds remaining in the Central America WCQ, followed by a cut to the Top 64. Those 64 Duelists will then compete in single elimination Rounds until a winner is declared! In the Central America Dragon Duel WCQ, the Top 8 cut was decided yesterday. The 8 remaining Dragon Duelists will compete in single elimination Rounds today until a Central America Dragon Duel Champion is named. An invitation to the 2018 Yu-Gi-Oh! TRADING CARD GAME World Championship and an invitation to the 2018 Yu-Gi-Oh! TRADING CARD GAME Dragon Duel World Championship are both up for grabs this weekend, and the remaining competitors will be trying their hardest to earn one of them. It’s almost time to Duel! Categories: 2018 Central America WCQ > Championships	Tags: CA WCQ, Day 2, WCQ, Welcome! Central America WCQ: Pairings for Round 9 2018 Central America WCQ: Saturday’s Event Table of Contents!